John Lovenburg joined BNSF Railway in September 2011 as vice president, Environmental. In this role, he leads a team of employees responsible for environmental strategy and communication, sustainability, permitting, compliance, remediation, hazardous materials, environmental litigation, and industrial wastewater. He reports jointly to Dave Freeman, executive vice president, Operations and Roger Nober, executive vice president, Law and Corporate Affairs. 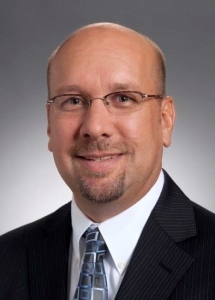 Mr. Lovenburg has more than 20 years of experience in environmental consulting with CH2M where he was vice president, Global Site Remediation and Revitalization. Mr. Lovenburg is engaged in conservation giving and projects at BNSF, including projects with the National Fish and Wildlife Foundation. Mr. Lovenburg is a Board Member of the Montana Outdoor Legacy Foundation. Mr. Lovenburg has a Bachelor’s degree in geology from the University of California, Santa Barbara and a Master of Science degree in hydrogeology from California State University, San Diego. John and his wife, Renee, have a son and daughter. BNSF Railway is one of North America’s leading freight transportation companies operating on 32,500 route miles of track in 28 states, and also operates in three Canadian provinces. BNSF is one of the top transporters of consumer goods, grain and agricultural products, low-sulfur coal, and industrial goods such as petroleum, chemicals, housing materials, food and beverages. BNSF’s shipments help feed, clothe, supply, and power American homes and businesses every day. BNSF and its employees have developed one of the most technologically advanced, and efficient railroads in the industry. We work continuously to improve the value of the safety, service, energy, and environmental benefits we provide to our customers and the communities we serve.